If It's Hip, It's Here (Archives): Motorsports Fans' Engines Will Revv Over These Wood Racetrack Wall Sculptures. 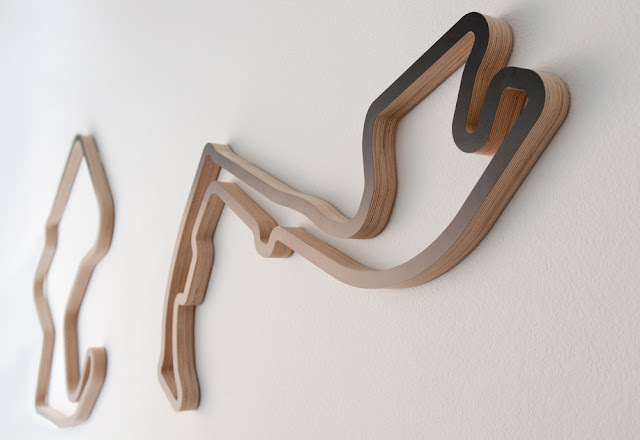 Motorsports Fans' Engines Will Revv Over These Wood Racetrack Wall Sculptures. 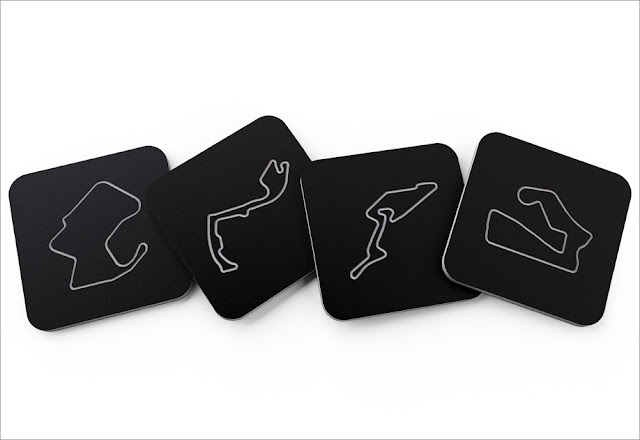 Passionate about motorsports? 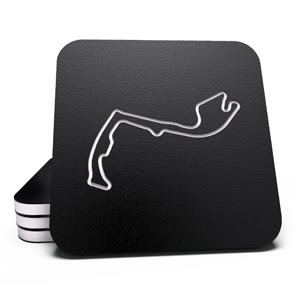 You know what Nurburgring is? Do lap times excite you more than lap dances? 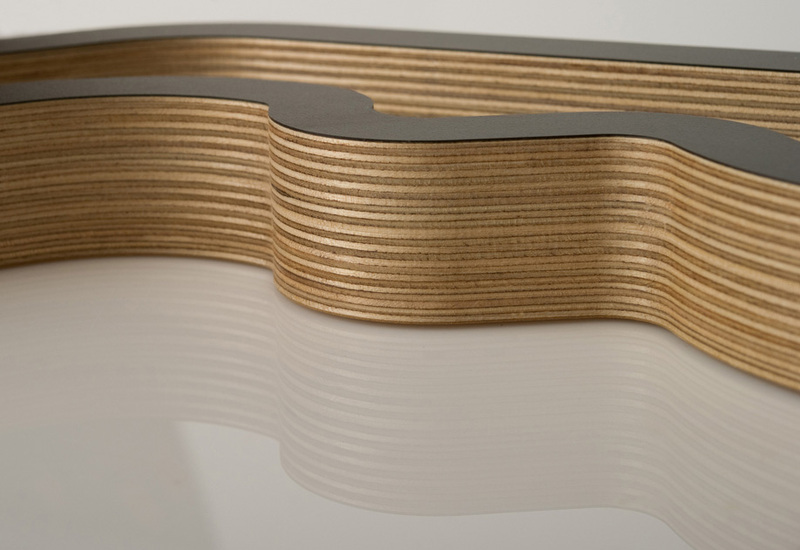 Then you should be familiar with Linear Edge. 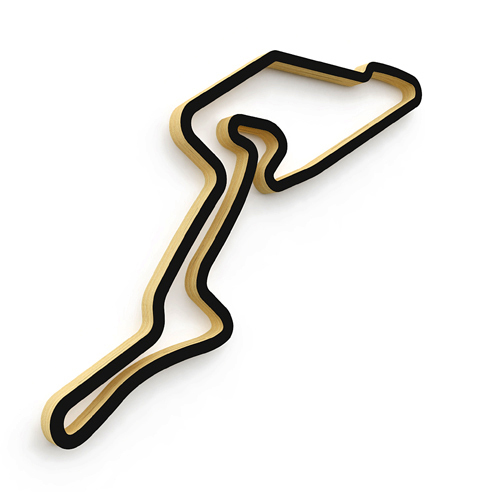 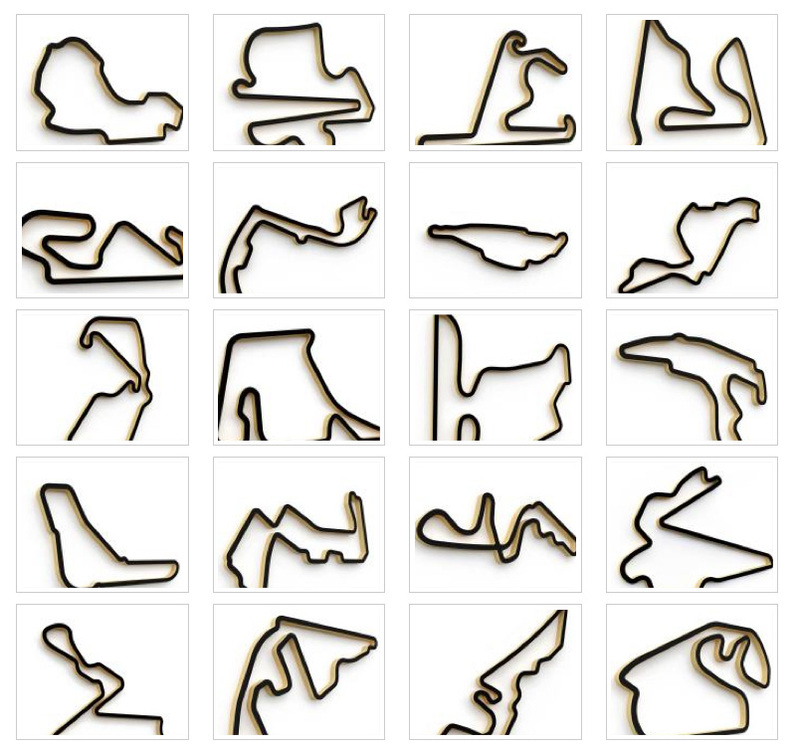 They offer wall art sculptures of all the race tracks from Formula One, MotoGP, World Superbike, American Le Mans and Nascar crafted from high quality baltic birch plywood and laminate. 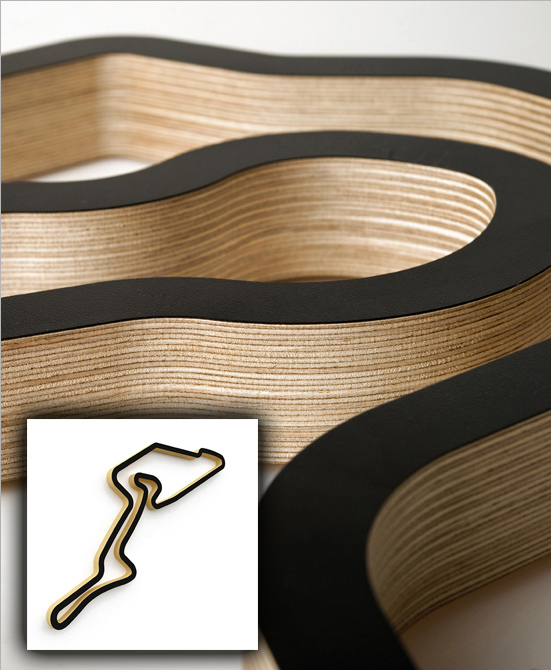 The materials are laminated together before being precisely cut to ensure the highest quality and cleanest cut. 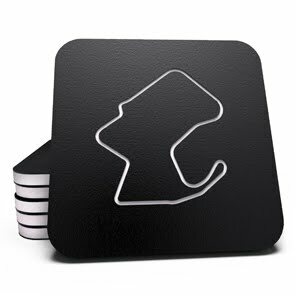 They supply 3M Command Velcro Mounting Strips with each order. 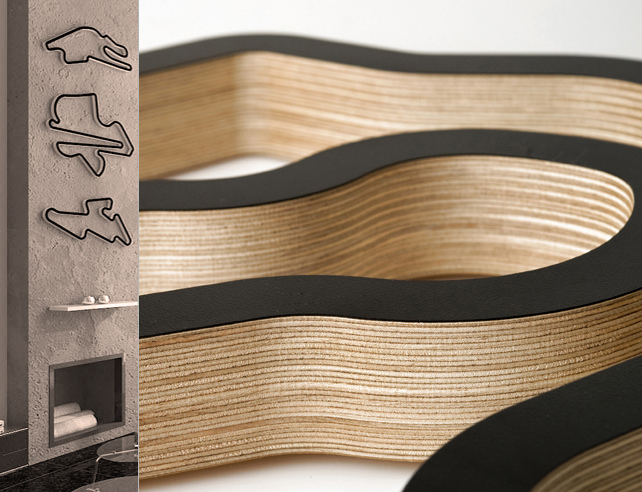 These mounting strips allow you to mount the tracks without putting holes in the wall. 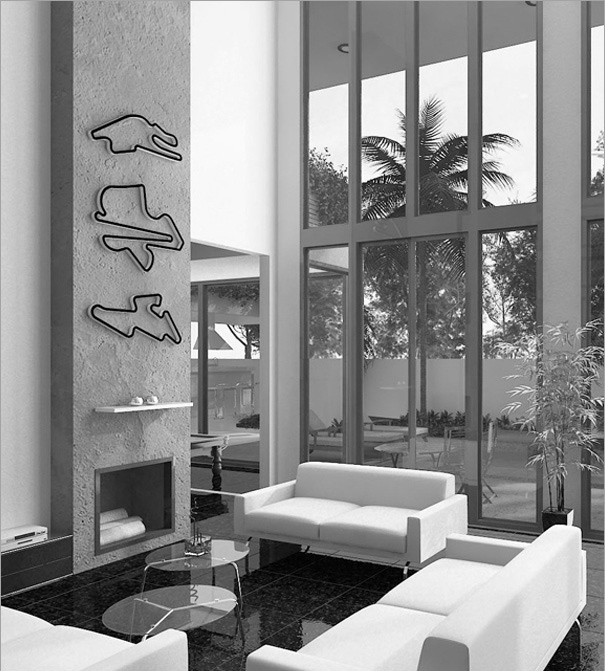 And that's not all. 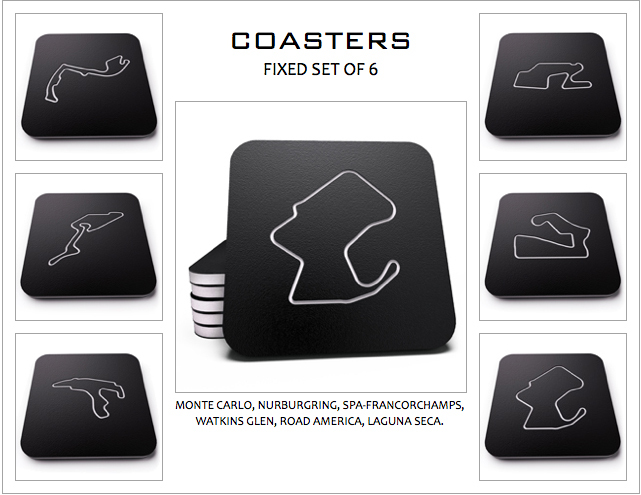 Coasters bearing the images of these world reknowned racetracks are also available in sets of four or six. 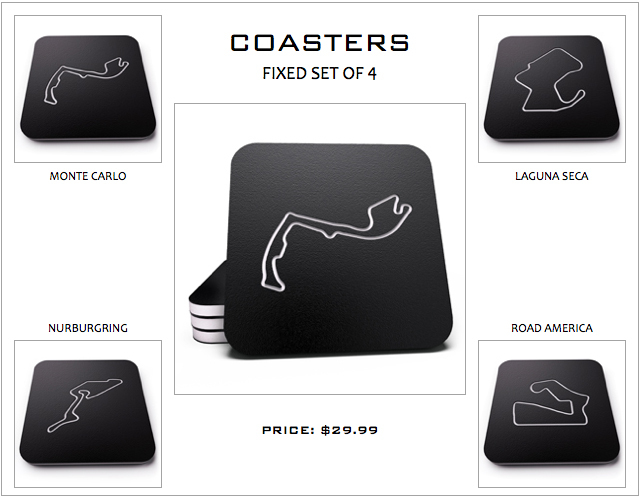 Their coasters are made from high quality HDPE and are also precisely cut and engraved like their racetrack sculptures.